We love the spot and the villas and would like to come back again. 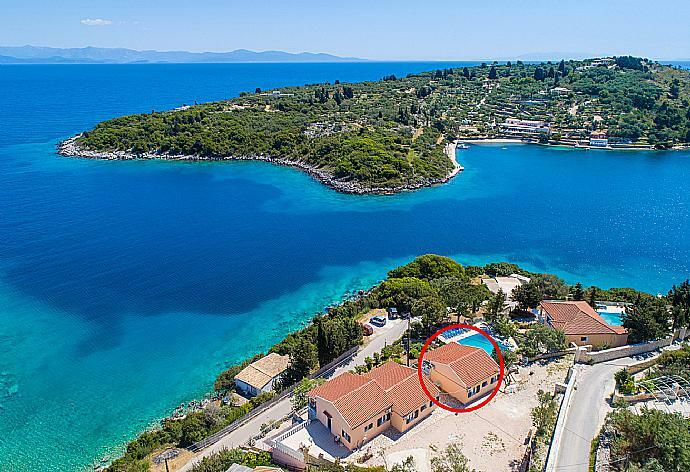 This villa is exceptional value for money. The accommodation is simple but the position is stunning with beautiful views over Mongonissi bay so we spent most of our time taking in the scenery from the from the large balcony. The walk up to the villa is lined with Oleander, Hibiscus, Plumbago and Bougainvillea. The pool area was attractive also with sea views, the pool was sparklingly clean and we had it all to ourselves at the times we chose to use it. There was also a small, sheltered cove below the property great for snorkelling. Mongonissi Beach is a pleasant 10 minute walk away for good food and drink. We hired a car, Gaios is a 10 minute drive for a further selection of restaurants and shopping. A gorgeous place to stay. 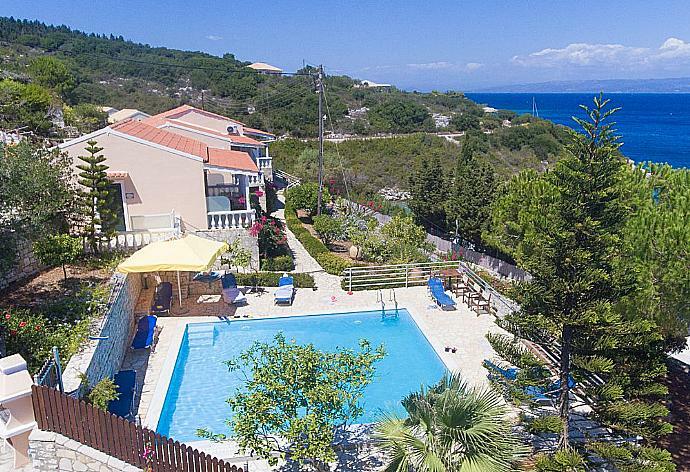 We loved Paxos and thought Dolphin Villas were brilliant value for money and we loved being in Mongonissi. We would definitely recommend. 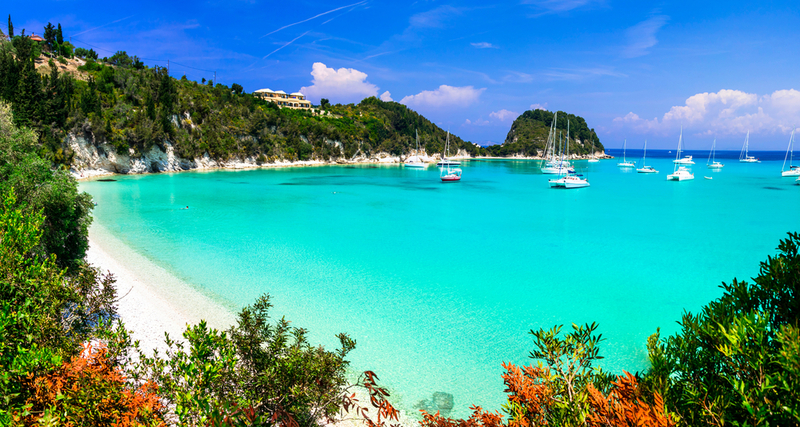 We loved Paxos - it was our first visit and it was a wonderful holiday. I wish we could have stayed much longer. 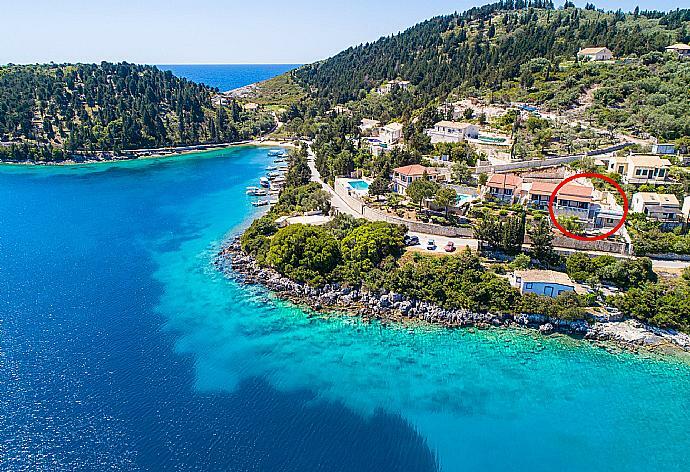 Dolphin villas have the most beautiful view of Greece and the sea and Mongonissi harbour beach.They are clean and in a very quiet location.We like to cook on some evenings and did find that the kitchen could have had more things in which to cook. Oven microwave etc were in very good condition.The nearby taverna was good. I have tasted better Greek food but the service and kindest of the staff more than made up for the not so brilliant food.The other bar did do excellent little dishes and brilliant bread and pizzas.We hired bicycles from Gaios and enjoyed the quiet roads. The island was Very pretty and had wonderful walks and views. The holiday was wonderful and very restful. We loved the villa, the island, the views, the sun, the sea, the people and the food. Thank you for a fabulous week. The villa exceeded our expectations. 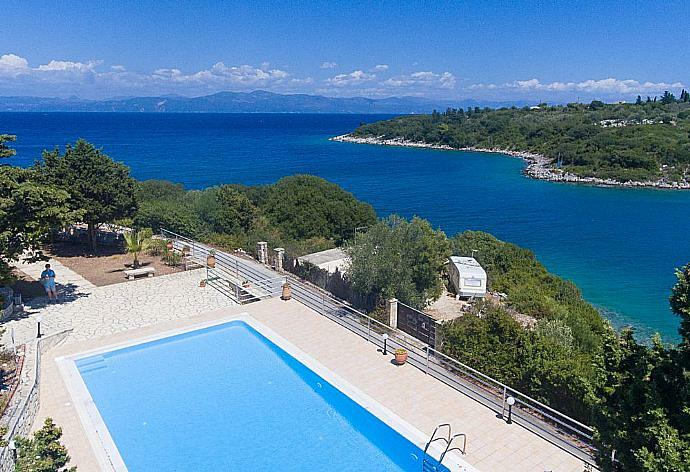 Beautiful views and quiet location, lovely pool and gardens. Nice balcony with quality table and chairs (not plastic). We did have a wonderful holiday and Paxos was truly stunning. We have a really great time in Paxos and thoroughly enjoyed ourselves. We thought Dolphin villas were nice and practical and very well-positioned. Dolphin Villa 2 was booked Today!